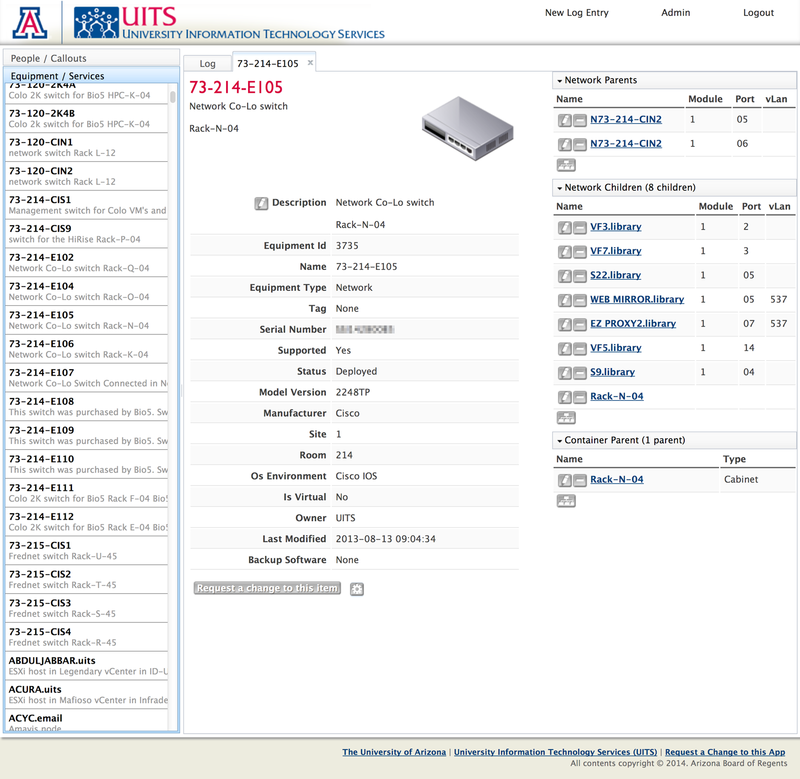 The University of Arizona has thousands of devices to keep track of in its various datacenters. I inherited an old MS Access database someone had started in the late 90's to help manage this equipment, and transformed it into a modern web application. Equipment and services are listed and can be searched for and filtered on. Equipment details can be viewed in individual tabs. The log portion of OpsWeb allows operations staff to track events relating to equipment or the environment. 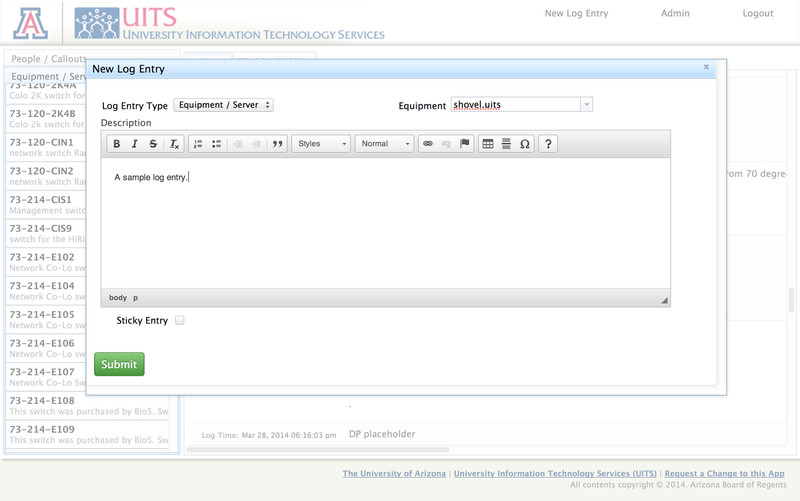 This allows for efficient sharing of knowledge among shifts as well as other UITS employees.